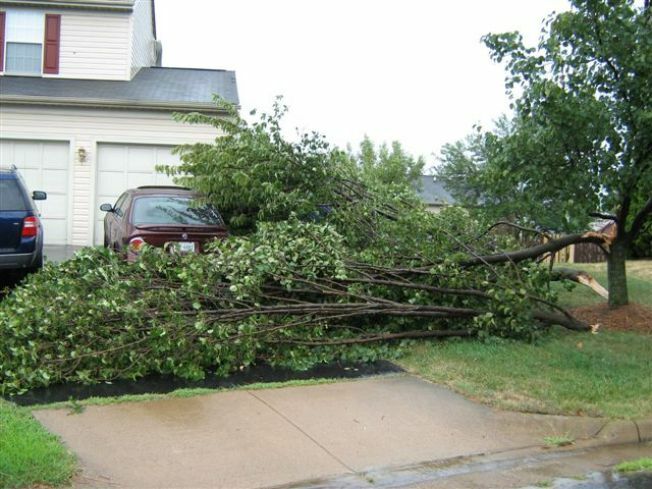 A few pictures from our neighborhood in Ashburn, Virginia in the Belmont Ridge neighborhood where a possible small Tornado touched down and some high winds knocked down some trees. The Obama administration has denied federal aid the state sought for help to recover from the tornado and severe storms that tore through Fairfield County on June 24. 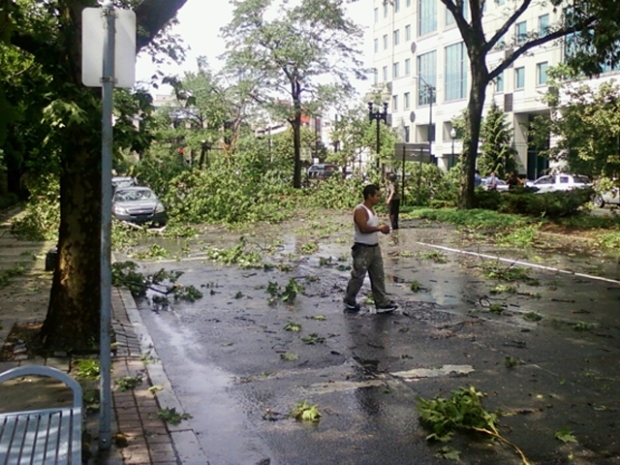 Bridgeport was hit most severely and 50 families were left homeless, but Stratford and Trumbull also sustained damage. While touring Bridgeport, where roofs were torn off buildings, Mayor Bill Finch said, “East Main Street just looks like Godzilla came and grabbed roofs and wires and cars and mixed them all together." Last month, Lt. Gov. Michael Fedele, on behalf of Gov. M. Jodi Rell, asked the Federal Management Agency for a federal disaster declaration and for federal aid for individual needs and public assistance, particularly for Bridgeport and Stratford. The state has 30 days to appeal. Rell said she is disappointed in the decision. "The localized impact of the storm was significant and in my belief warranted federal assistance. I will work with our state Department of Emergency Management and Homeland Security to explore all of our options, and those include getting damage loans for homeowners, renters and businesses,” Rell said.